Greetings and welcome to our monthly POLLEN update. We would like to start with exciting news! We are happy to announce that the Political Ecology Network (POLLEN) Third Biennial Conference will be held in Brighton, United Kingdom, June 24-26, 2020 on the theme of Contested Natures: Power, Possibility, Prefiguration. POLLEN20 will be organized by the ESRC STEPS Centre (IDS/SPRU, University of Sussex) and co-hosted by Radical Futures at the University of Brighton and the Institute of Development Studies, with support from the BIOSEC project at the University of Sheffield. More information can be found here. Many thanks to everyone who sent in their valuable contributions again this month. We hope everyone enjoys reading all about it in this newsletter. The Editors, 2019. The future of scholarly publishing: Paywalls and profits or a new plan? Geoforum, 102, pp.1–4. Available at: http://www.sciencedirect.com/science/article/pii/S0016718519300831. Introduction to the special Issue: Cortes-Vazquez, J.A., Apostolopoulou, E., 2019. Against Neoliberal Natures: Environmental Movements, Radical Practice and “the Right to Nature”. Geoforum 98, 202-205. González-Hidalgo, M. and Zografos, C., 2019. Emotions, power, and environmental conflict: Expanding the ‘emotional turn’ in political ecology. Progress in Human Geography, p.0309132518824644. Mallin, M.A.F., Stolz, D.C., Thompson, B.S. and Barbesgaard, M., 2019. In oceans we trust: Conservation, philanthropy, and the political economy of the Phoenix Islands Protected Area. Marine Policy. As part of the annual IGS seminar on political ecology, we are organizing a research seminar on “political agronomy”, entitled “Political Agronomy: Knowledge production and policy framing in the era of Super- and Miracle Food”, which will take place on June 5 and 6 at the University of Lausanne. The program is currently being finalized. It will include a half-day plenary conference, a half-day workshop and a visit to a quinoa farm in French-speaking Switzerland. We would be delighted to welcome you to this event, so please save the date! 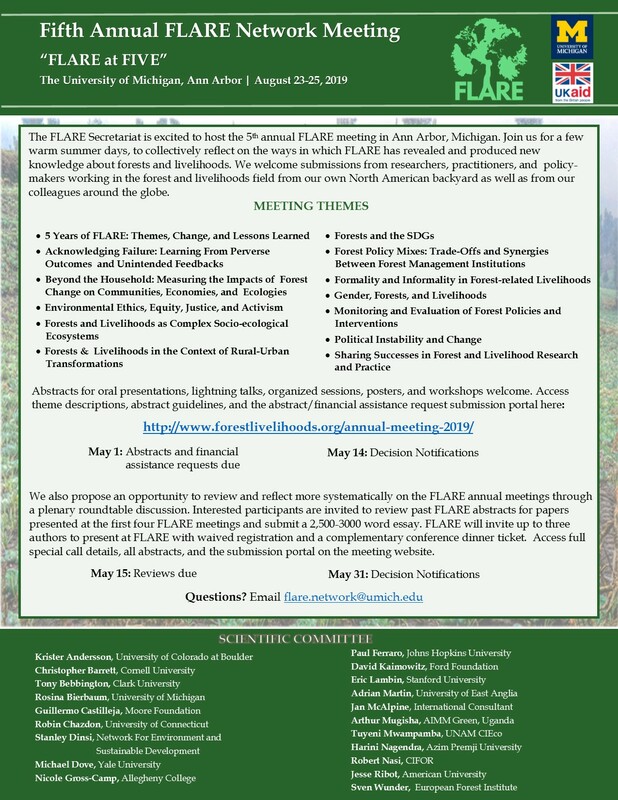 Registration open for #EJ2019 Conference. We are excited to announce that registration is now open for the 2019 Environmental Justice Conference ‘Transformative Connections’, being held at the University of East Anglia, Norwich, UK, on 2 July – 4 July 2019. Early bird registration is available until 31 March 2019, with reduced rates available for students and delegates from low and middle income countries. Under the theme of “Transformative Development Pathways – Critical Perspectives on Urbanisation, Land and Water”, the WaterPower project invites you to participate in the project’s final symposium. Hosted by the Governance and Sustainability Lab at Trier University, the event aims to connect participants for discussions and exchanges on what efforts in knowing and governing the urban may be needed for transformative change. We invite researchers and early career professionals working across diverse sub-fields in Geography, Urban Studies, Development Studies, Environmental Sociology, Ecology, and related fields. The symposium will be held in English. The deadline for applications is 07 April 2019. More information can be found here. On behalf of the POLLEN secretariat, we would like to lend out support to the courageous students who have been taking to the streets in protest of climate inaction and other environmental injustices. These global strikes should be an inspiration to us all! We encourage other POLLEN nodes to lend their support – for some, this means supporting our children when they want to go on strike instead of attending school on Fridays!